By that time, founding father Frederick Waite had backed down, to be replaced by Dennis Seaton as lead singer. 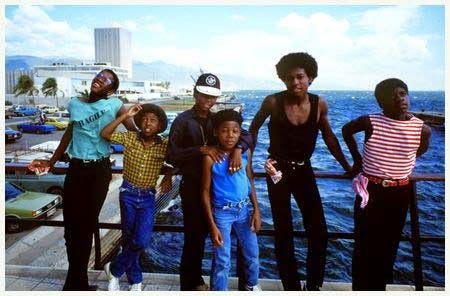 During the winter of 1982, the group issued one of the fastest-selling singles of the year in “Pass the Dutchie”. Based on the Mighty Diamonds “Pass The Kouchie” (a song about cannabis), the title had been subtly altered to feature the patois “dutchie” ,referring to a type of pot used for cooking. This idea is reinforced throughout the political and economic overtones throughout the song about extreme poverty and Musical Youth asking the question “How does it feel when ya got no food?”}. The infectious enthusiasm of the group’s performance captured the public’s imagination, and duly propelled the record to Number 1 in the UK singles chart. It went on to sell over four million copies, and was nominated for a Grammy Award. A US Top 10 placing also followed. The video made them one of the first black artists to be played on MTV. The catchy follow-up, “Youth Of Today”, reached the UK Top 20, and early in 1983, “Never Gonna Give You Up”, climbed to UK Number 6. Minor successes with “Heartbreaker” and “Tell Me Why”, were succeeded by a surprise collaboration with Donna Summer on the UK Top 20 hit “Unconditional Love”. A revival of Desmond Dekker’s “007” saw them back in the Top 30, but after one final hit with “Sixteen”, they fell from commercial grace, and subsequently split up in 1985 when Seaton left the band. Plans to re-form were initially scotched when Patrick Waite, who had gone on to a career of juvenile crime, died of natural causes (hereditary heart condition) whilst awaiting a court appearance on drug charges. The Grant brothers remained involved in music, while Dennis Seaton released a solo set in 1989, before going on to form his own band, XMY. 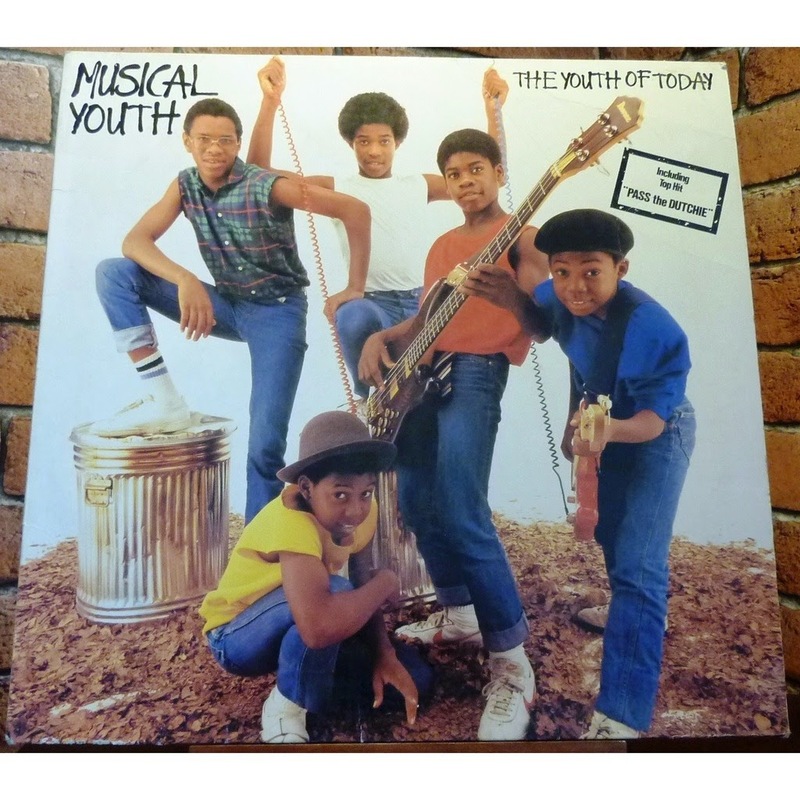 In 2001, Musical Youth reformed. They were set to perform at the English ‘Here & Now’ tour, which features performances by many great artists from the 80’s. Due to the 9/11 attacks, the tour was cancelled. The song was the band's first release on a major label. It was a cover version of two songs: "Gimme the Music" by U Brown, and "Pass the Kouchie" by The Mighty Diamonds, which deals with the recreational use of cannabis ("kouchie" being slang for a cannabis pipe). 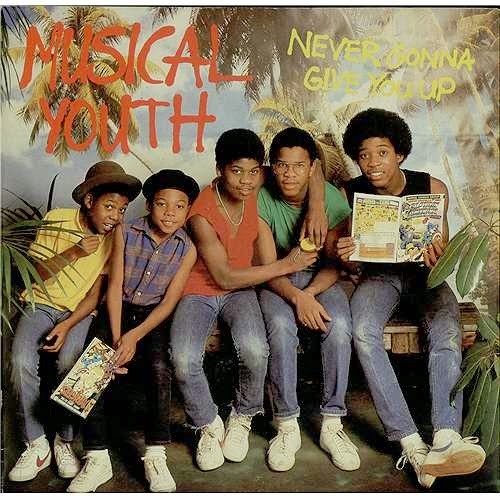 For the cover version, the song's title was bowdlerized to "Pass the Dutchie", and all obvious drug references were removed from the lyrics; e.g., when the original croons "How does it feel when you got no herb? ", the cover version refers to "food" instead. "Dutchie" is used as a patois term to refer to a food cooking pot such as a Dutch oven in Jamaica and the Caribbean. It has since become a drug reference in itself, denoting a blunt stuffed with marijuana and rolled in a wrapper from a Dutch Masters cigar, since American and British listeners assumed that the term was a drug reference.